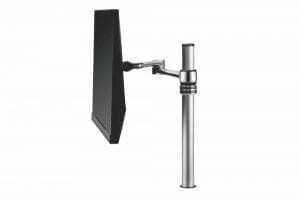 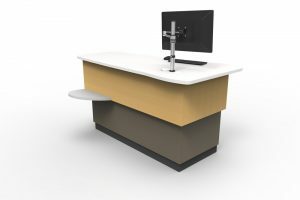 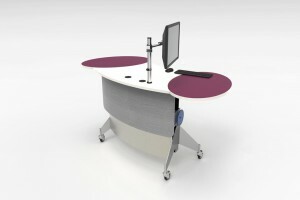 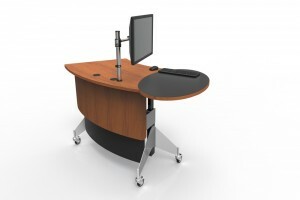 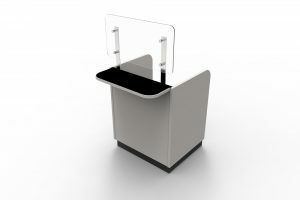 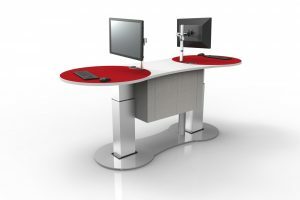 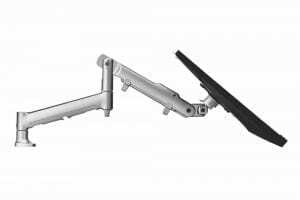 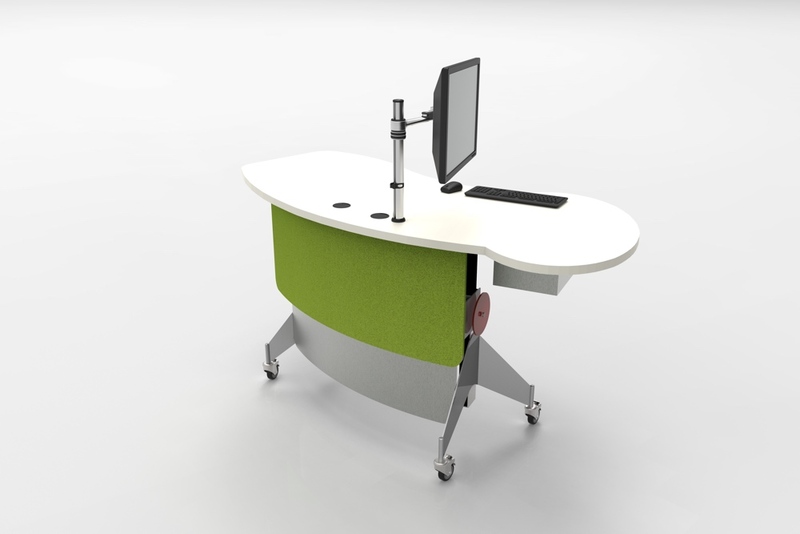 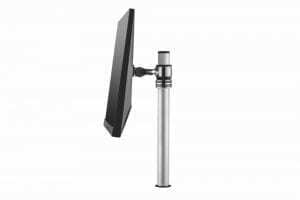 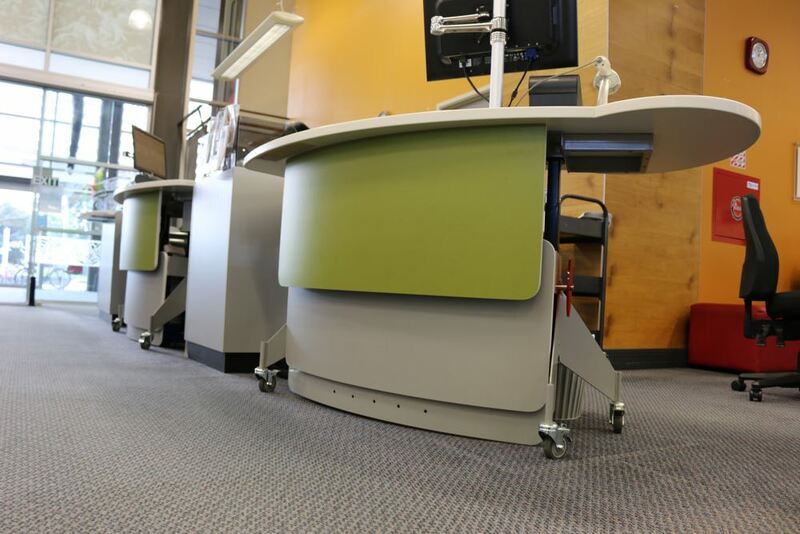 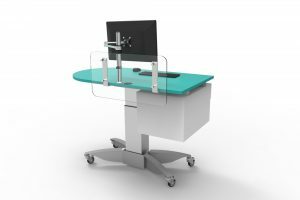 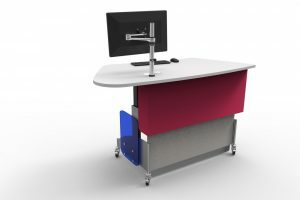 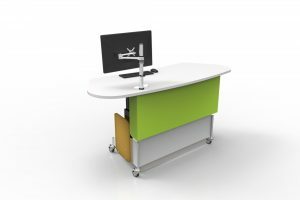 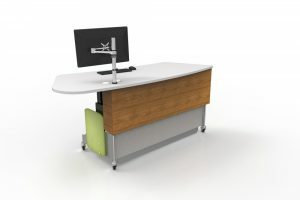 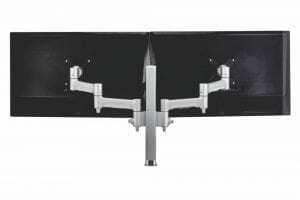 A contemporary, height adjustable issues / help station, featuring a cantilevered meeting end. 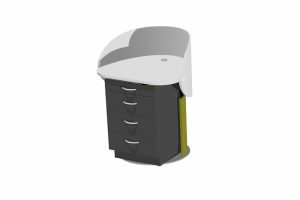 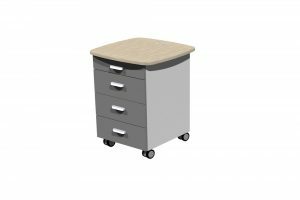 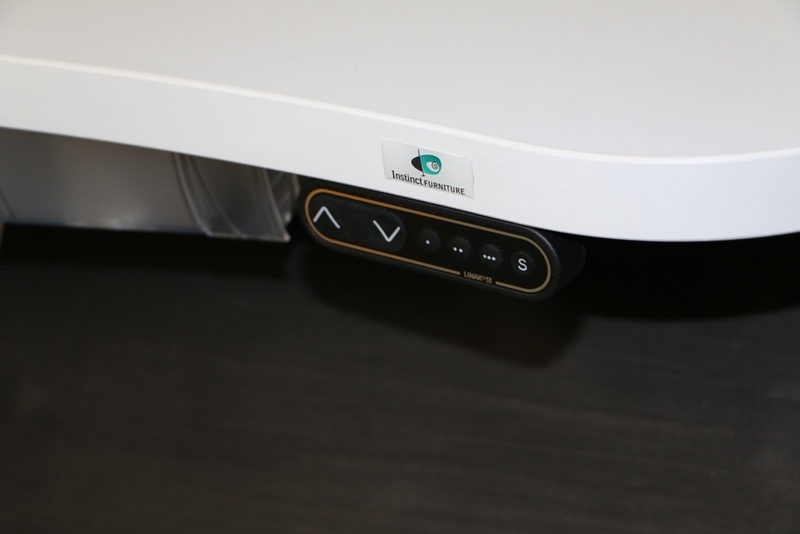 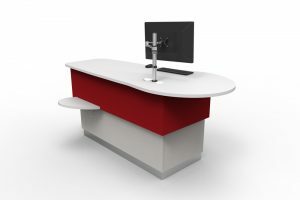 GLO 2000 Single Oval offers a generous worktop with a designated meeting end on one side and a ‘closed’ end on the other, to allow the positioning of shared services in between. 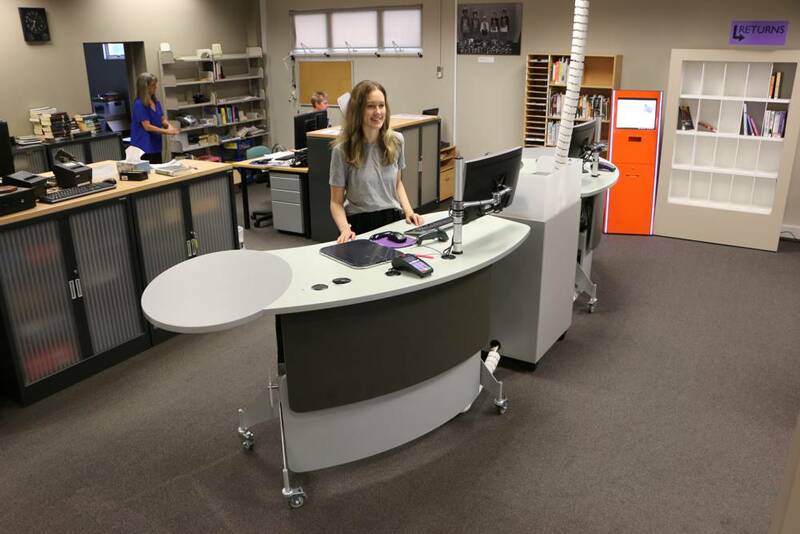 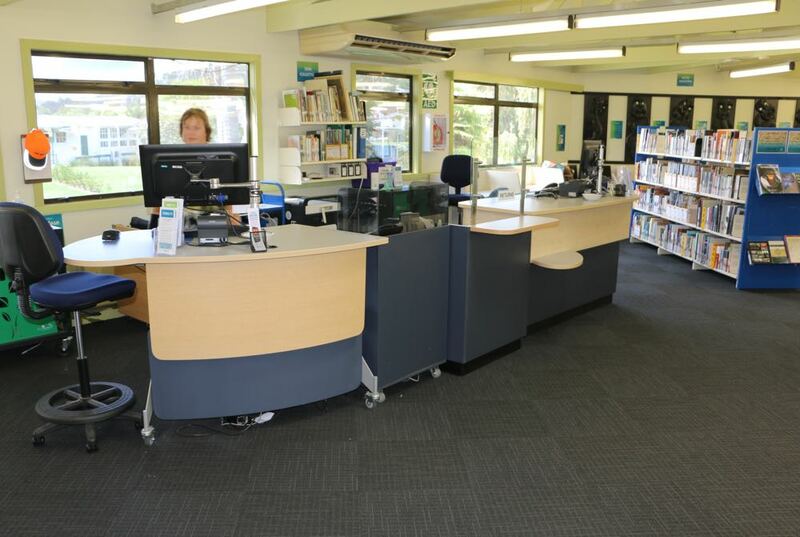 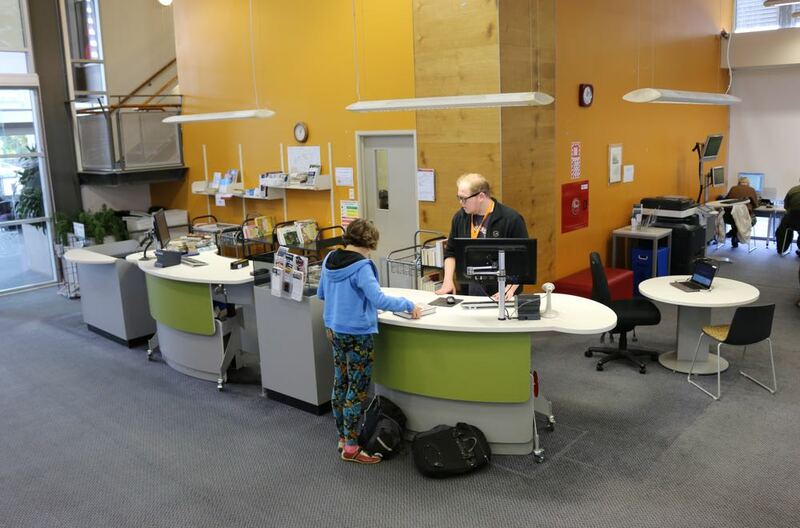 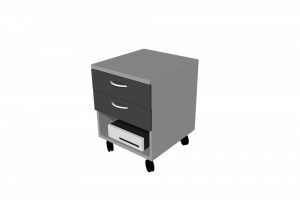 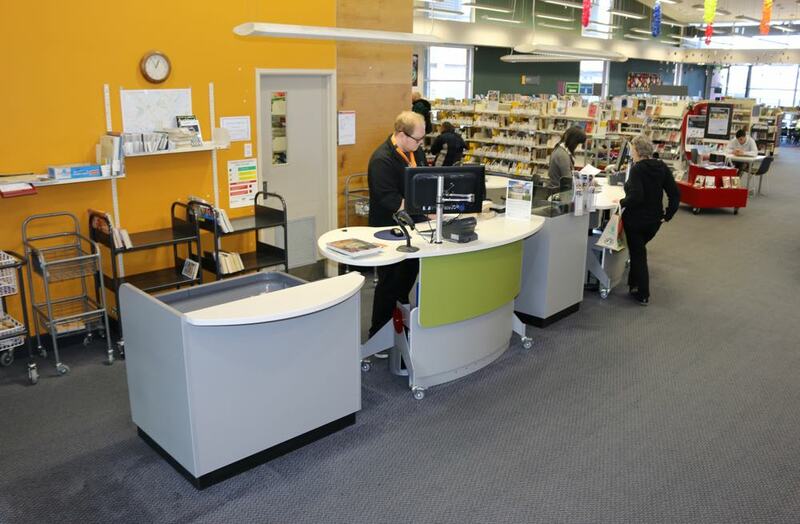 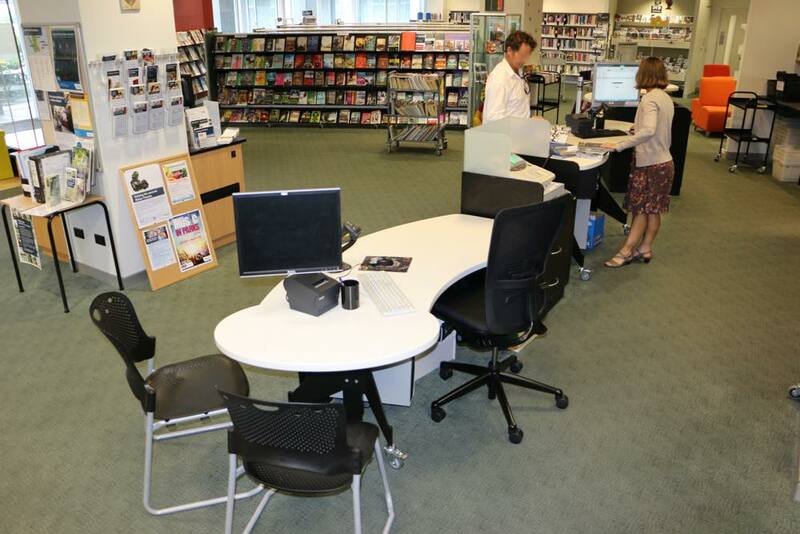 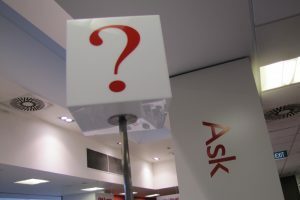 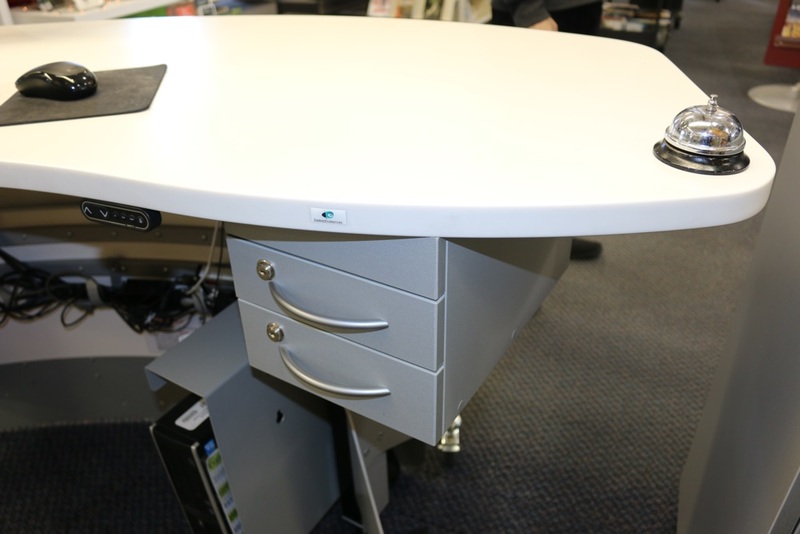 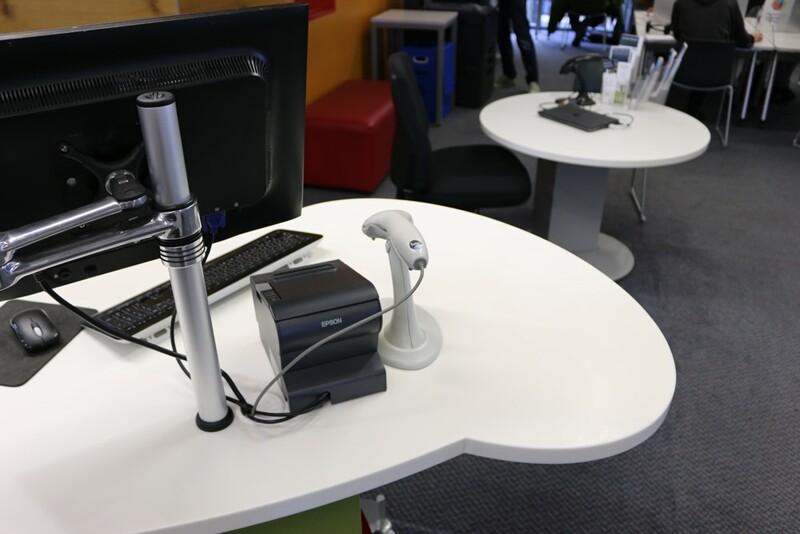 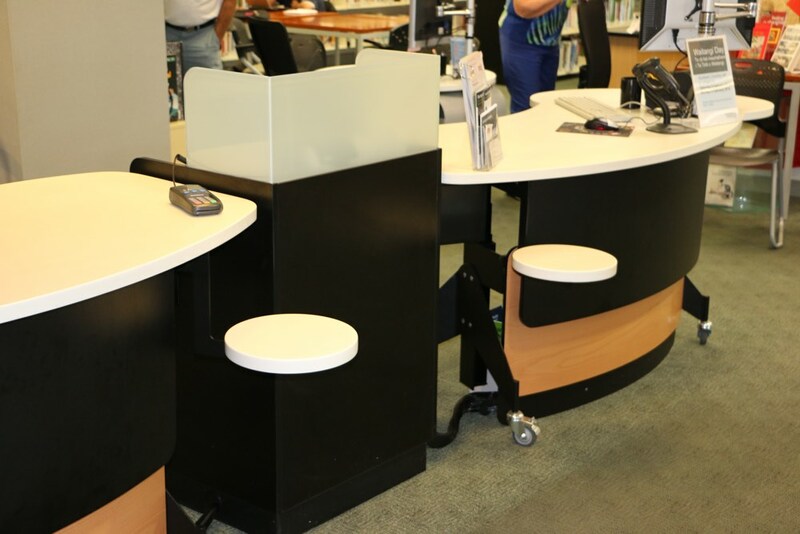 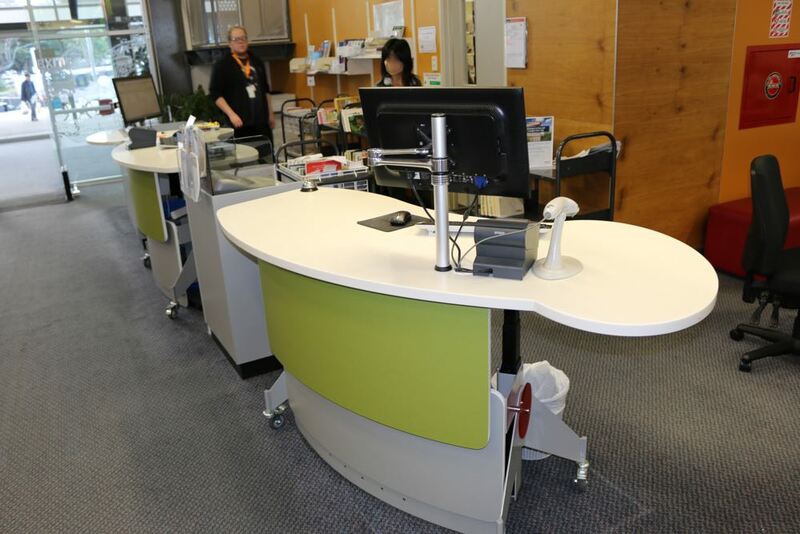 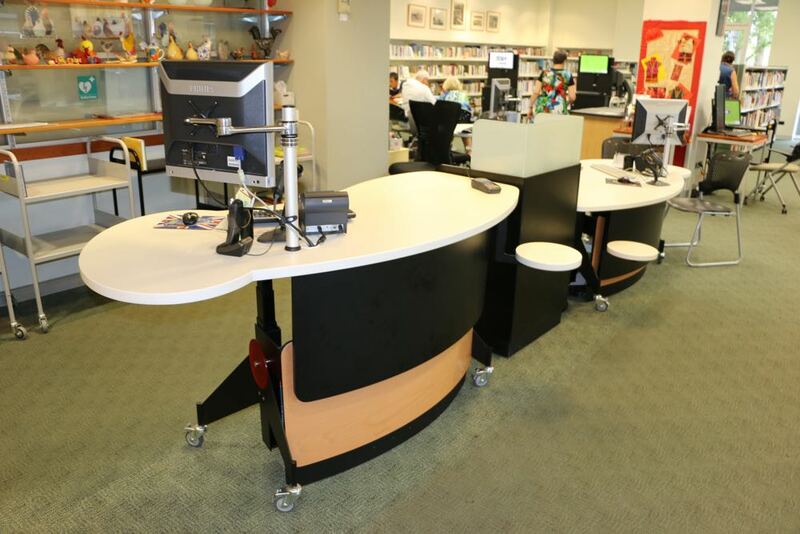 Position two together, or pair with our CASH/EFTPOS Module or BOOKFLO Book Returns Module, for a dynamic circulation area. 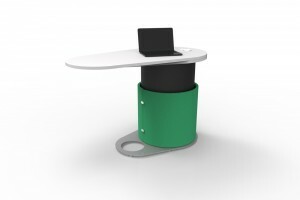 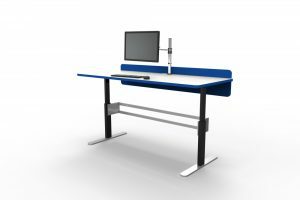 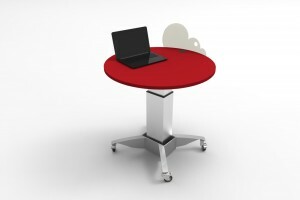 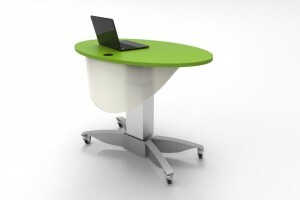 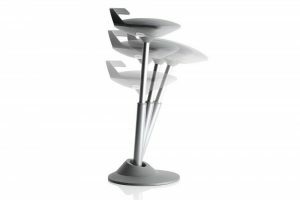 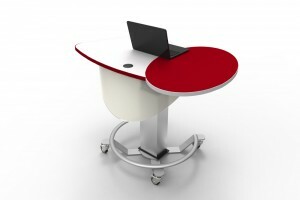 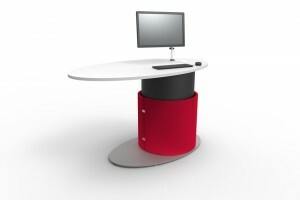 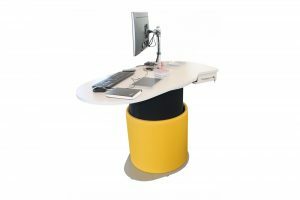 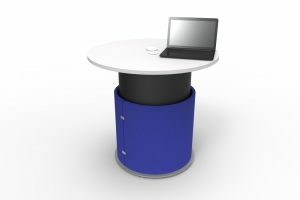 A cantilevered meeting end to work alongside customers, seated or standing. 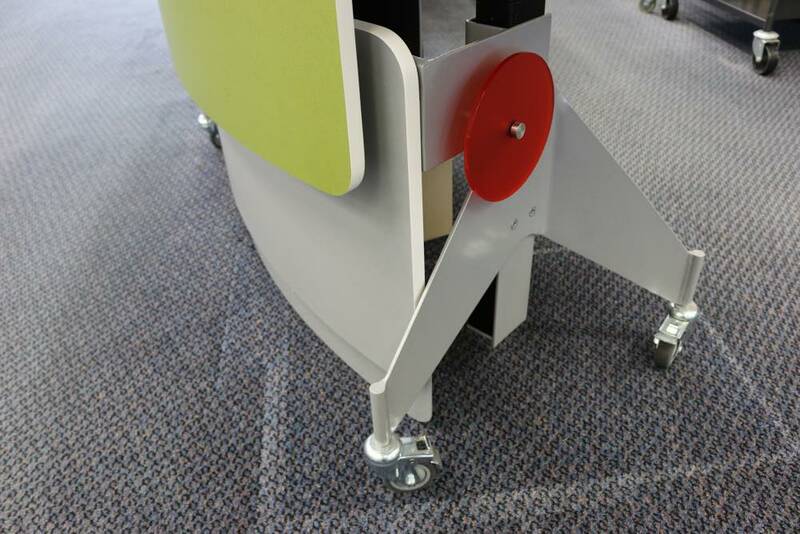 A stylish acrylic disc fitted to each end, in your choice of colour. 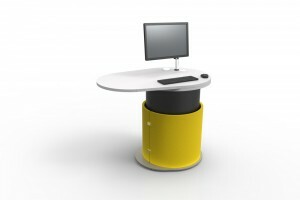 Mount our easy access desktop PIXEL Power and USB outlets. 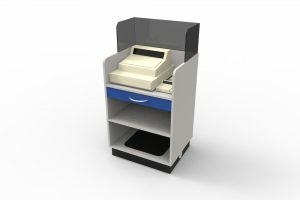 Add a handy round bag shelf.